Greetings all members of IGDA Finland association! You are warmly welcome to join the statutory annual meeting that was delayed in May due to issues with our accounting company. The meeting is held on Tuesday, 9th of August, 2016, from 5 PM until 7 PM, at Business Meeting Park (CORNER, Salomonkatu 5 C, 00100 Helsinki). It is also possible to participate virtually via Google Hangouts. The main purpose of this meeting is to go over our actions and accept our financial accounts for 2015 but it’s also a good moment to discuss the big picture of IGDA Finland with the current board of directors. Light snacks will be served. Please RSVP by email to teemu.haila@igda.fi by the end of business hours on Friday, 29th of July, 2016. 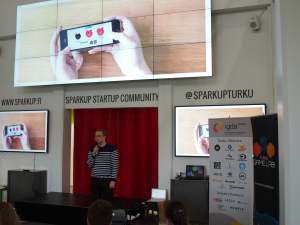 May 12 was Turku Game day, and IGDA Turku Hub organized a full specced evening program at Sparkup, with talks by several prominent game industry people. Read more about how to make money when everything is free, what Rival Games learned from their game series The Detail, how NordicEdu designs the future of serious games and what Appstar are up to. Read all the way to the end, and get some good advice from IGDA volunteer of the year. Nicholas Lovell, an investment banker, author and consultant, held a thought-provoking talk about his theory on ”how to make money when everything is going free”. Lovell claimed that F2P is not actually a business model it is a marketing tool. By offering the product for free first, you reach an audience, but after that you have to “earn your right” to talk to the customer again. The Curve refers to the amount that a person, a customer, is willing to pay. The idea was inconceivable before the Internet. The web has enabled one-to-one communication, but also increased the amount of products that are given away for free. How do we keep paying our bills when the competition gives away their stuff for free? We can let people choose how much they spend – this is a marketing opportunity. Some of the audience will pay even if most will not. Lovell’s Curve can be broken down into three steps: 1. Find an audience 2. Earn the right to talk to them again 3. Enable superfans. His advice is that we as game developers and creators need to keep our customers in “our ecosystem”. You offer the customers the chance to pay what they want (and including some ridiculously over-priced items, tiers or pledges, makes the cheaper ones look like a bargain). Also enabling people to participate in the journey of the game has turned out to be a successful strategy. Lovell mentioned Tim Schafer’s Kickstarter as an example. One-third of the pledgers did not even play the finished game – they backed the project for the creator’s journey. So, how can you enable the people who love what you do? Let superfans spend money on something they value, let them “level up” as supporters. Lovell also pointed out that people in the digital era spend money on content that gives them status and emotions. The point is not to extract money from people. This is something that stops working after a time, according to Lovell. Delivering human joy is what works. Rival Games and Jukka Laakso held a presentation about their third and last episode of The Detail. For those of the readers who do not yet know about Rival Games, they are currently the biggest Turku game company, with 17 employees. They focus on interactive narratives and storytelling. The core game loop focuses on choices, particularly on the gray areas of our moral compass. These choices make the player emotionally attached to the characters in the game. Interestingly it is the smaller choices that really bring the characters alive. The Detail is a game series that is about how people experience stories differently. The third episode of The Detail – Devil in the Details was recently released on Steam. Laakso gave the audience a post-mortem highlighting first the good, then the bad. The writers did a good job, the visual style was unique and appealing, audio was successful, coders made things seem as they should. Communication within the team has improved. The list of bad things was slightly longer, or more detailed. The team expected more money from revenue, and Laakso gave us the advice to plan the budget so that it lasts for the whole game. Because of the lack of money, deadlines and delivery failed. There was too much time between episodes, and sales were bad because of it. The team had to cut the last two episodes, and a lot of the plot was cut short. The core team changed a lot. Design was neglected, and so was gameplay. There was no iteration just execution. The art style was inconsistent because of the change of artists. There were bugs and there was not enough time left for testing. Many of the problems had their origin at management level. But all you can do is learn from it and move on. Currently Rival Games has a partnership with a comics print, and the budget problems are solved. The following presentation was by NordicEdu CEO Tomi Kokkonen. NordicEdu has been making games for five years, and already have an excellent track record of serious games. They currently employ seven people and reside in the Manilla building in Turku. NordicEdu’s goal is to become the best serious game company in Finland, and globally. They offer expertise to different organizations. They have three types of customers: other companies that want to implement a game idea; unions, federations or public organizations that need partners to develop a game; organizations that commission advertisement games. People learn best when they are motivated. There are different approaches to serious games, and some projects are more about gamification or gameful design. Kokkonen lists types of serious games: teaching games, simulations, meaningful games and purposeful games. NordicEdu’s current project MobiMetsä is for UPM and the Scouts. It is a game about teaching the sustainable use of the Finnish forest. The players need to, for example, take photos of real trees in the game. Kokkonen also gave us an introduction on how NordicEdu does their projects. They start with a workshop day and they create a user experience journey. Focus group opinions are crucial in developing good serious games. Making graphics and coding is almost trivial compared to the much more demanding process of getting to know the core audience. NordicEdu also showed us an interesting way to garner comments from testers: short video blogs by the testers that are sent through Whatsapp. It is hard to get people to write, and when they talk freely they give away much more information. Appstar’s current game is focusing on the dress up genre with a more casual (but fashionable) twist. Olesja Parkkali introduced the small start-up that is about to grow. They have gained success with their beta version of World of Fashion and are developing the game further. According to studies, women and girls spend more money and time on mobile games than men. Still this customer group is underserved. Appstar has been able to engage female players ages 13-20. The game itself is about collecting celebrities and doing global challenges. The players comment and like styles. The Turku Game Day evening ended with a short presentation by an IGDA volunteer from Helsinki: Jenni. Her most valuable hints were to 1) volunteer 2) get a spot at the door to the gatherings, that way you meet everyone. Our demo corner got many people interested in testing the new games. IGDA is all about networking and an inclusive community, and making work as a game developer fun. The March gathering was back in Hunter’s Inn, and this time with presentations by Rival Games and Shark Punch. Also in the demo corner: BitByByte’s first game Planet Shock. The future is looking good for Rival Games. After a hard year 2015 they have received funding and are soon ready to publish the third and last episode of their game The Detail. The Detail has a very decent metacritic score and has been received with much delight by both players and critics. The company is one of the more successful ones in the Turku game development scene. And more success is sure to come for this hard working studio. Rival Games currently employs 16 people, and they will be hiring more people this year. On Wednesday the audience had the pleasure of hearing CEO Jukka Laakso talk about sales figures for The Detail on Steam, and lead writer JD Sorvari gave us insight into the process of writing the game. The Detail is a graphic novel style game reminiscent of Frank Miller. It was initially planned to be five episodes long, but now the story is going to have its closure in the third episode. Sorvari told us about the shock that he as a writer had, realizing that his story would be cut shorter. First he had thought he had plenty of space to develop the plot and “romance” the players – but it was not to be. However, being forced to compress and reduce can often lead to better storytelling, which Sorvari hopes to have succeeded with in the third episode. Releasing a game in episodes gives the business model an interesting flair. Laakso was able to visualize this by showing us graphs from Steam sales. Firstly, Steam is the number one sales platform for Rival Games, and stands for 63-70 % of their sales revenue. Other distribution channels are nowhere near as fruitful, for example iOS sales is only at 14 %, and others (like humble bundles and such) stay at 24 % of total sales revenue. For every episode and sale period the sales spike increased, while almost flat-lining in between. We wish Rival Games good luck with their third episode release! The company Shark Punch was presented by Tero Tapio and Peter-Erik Kiis. They told about the origins, team and philosophy of the company. Shark Punch employs 13 people and their HQ is in Helsinki. The founders managed to sell their previous company to Disney, and then they went indie. They initially released a game called The Masterplan – a 70s style heist game. After this first release they have focused on another type of development project: a distribution platform for other game developers, www.playfield.io. There are thousands of games being released every year, and a new game very easily drowns in the static. How can developers get visibility and find the right type of player? 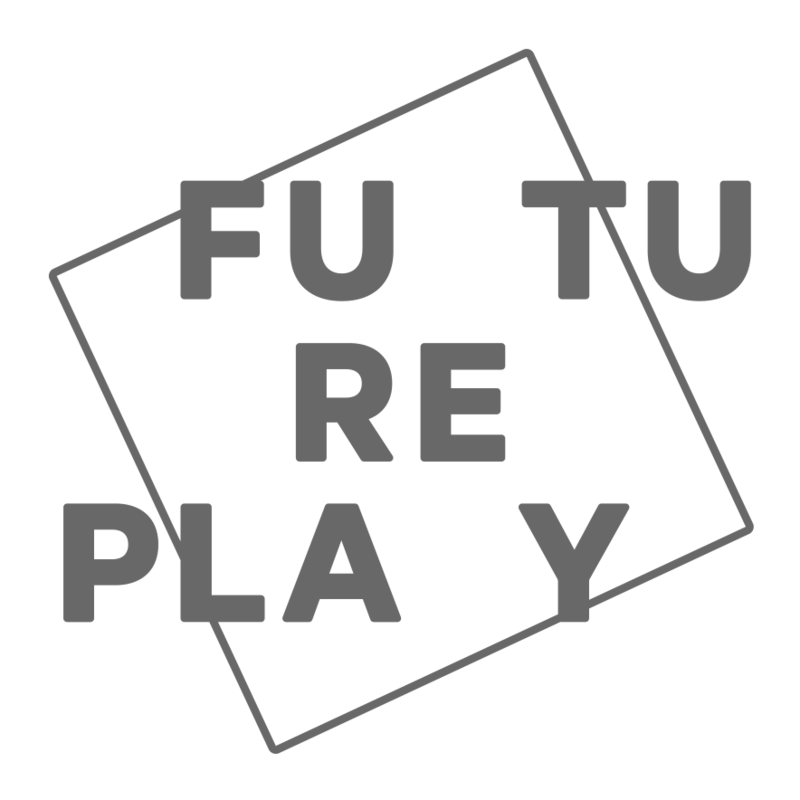 The focus in Playfield is on helping game developers get discovered by players. Shark Punch wants to achieve this by personalizing recommendations and having a great storefront. They also have partnerships with Twitch and YouTube users. Currently Playfield has 2000 games, and 1000 developers on board. The community is mostly between 25 and 34 years of age, and also mostly male. Half are from English speaking countries. Playfield will be coming out of beta in Spring 2016. The point is: they don’t want players to miss “gems” in the game avalanche. They urge game developers to bravely contact them and try out Playfield. In the demo corner we got some space ship shooting and cosmic eye candy. BitByByte Creations is a new game development team based in Turku, and the game “Planet Shock” is in Steam Greenlight at the moment, go check this link and give support! In February IGDA Finland had the great pleasure of being visited by game developers from the Swedish company King. Benjamin Glaser, Mikael Säker and Robert Käck toured Finland and visited Kotka, Helsinki and last but not least, the Turku hub. Be sure to also check out the report of the Helsinki event. On Wednesday 10.2 they spoke both at the ICT-building in Turku, and at the IGDA evening gathering at Restaurant Mauno. The audience got an insight into King as a company and a brand, and a thorough and enthusiastic presentation of King’s game engine Defold, that is about to be publically launched very soon. The gathering also featured a demo corner. Robert and Benjamin gave us a short history of King, and some very helpful hints for students that are interested in breaking into the game industry. The company was founded in 2003, and the first kinds of games produced were so called “skill games”. These are small puzzle type games with very quick rounds, and usually the theme was shooting bubbles. In the early business model there was also betting involved. Between 2003 and 2010 King created around 150 IP’s. The company became profitable in 2005 and partnered with Yahoo at this time. When Facebook entered the social media scene, King developed the “Saga”-format and targeted Facebook users. The Saga format includes the maps that the player progresses on, the star system and the progression of the puzzles. In 2012 mobile had also become an important frontier for King games to conquer. The core mechanic of the games stays the same. A distinct feature is the cross platform functionality. King’s four franchises are Candy Crush Saga, Pet Rescue Saga, Farm Heroes Saga and Bubble Witch Saga. King has 1700 employees in 13 studios around the world. The Shanghai office is the newest one. King games have a user base of 330 million, which is challenging to manage. The company has been awarded the title of Sweden’s best employer twice, and there is much effort put on nurturing a balanced company culture and clear values. Employees need to have a certain mindset to fit in, and aspirants for jobs go through a process of interviews to make sure that they are a fit. Benjamin and Mikael’s aim for doing this tour of Finland is also to spread the word on King’s game engine Defold. The engine has been in development for over six years, and is ready to be officially launched. Although it has been possible to get invites for quite a while already, so the engine is already functioning and in use. The latest game release from King – Blossom Blast – was made with Defold. Although King is developing the engine, it is not only for internal use (and there are no King ads or anything like that in games made with it). One of the initial developers and founders of Defold, has said “we wanted to make something that was state of the art, not state of the industry”. The point being that Defold is not tech focused. It contains solutions for generic problems. And it will be given out for free. Benjamin mentioned several reasons for this: 1) To make sure King is relevant in the industry – that they are a tech savvy company; 2) Creating a larger user base leads to improved production quality and also benefits the internal users; 3) It’s nice, and they have the means to do it. Of course, showing good will to the game developer community is part of a branding strategy as well. During the daytime lecture Mikael gave the audience a lot of insight into the game design process, and in the evening his presentation was more focused on showing how Defold works. One of his main messages was that when we are designing, we are not just having ideas and then implementing them, rather, design is about making ideas work, and “discovering the idea” as the design process moves forward. The developers of Defold hope that their engine will make this process easier by making the engine and design process collaborative – “things communicate”. One effect of using Defold has been shortening the loading time for the games, which also makes the gaming experience much more pleasant for the player. The gathering also had a couple of demos to try out: Sauna Simulator by students at Turku UAS and Quadro Delta’s Ragnorium. The Sauna Simulator was made in 48 hours at the Global Game Jam, and became an instant hit on YouTube with 25000 views in less than a week. On Thursday 10 December researchers and professionals from the gaming industry and health care sector gathered in the ICT-building in Turku. The seminar was organized by Turku Science Park and keynotes were held on topics like the serious game market in China, exercise games for the elderly and emerging trends in health games. The seminar guests could also try health games themselves in an exhibition outside of the seminar room. There were virtual reality exercise bikes, health care robots and different physical games to play. Some reflections on the seminar: a lot of people seem unhappy with the concept of “serious games” and other suggestions popped up during the day, like ”applied games”. The word “serious” makes you think if something that is not primarily fun, and the point of gamifying health care is to make it more fun. Health games have a track record of not being very “good games”, so this is an area that needs development. If gamification is to actually work, the games have to be good and as engaging and addictive as mainstream games. The atmosphere was optimistic. We are still only in the beginning of developing health games as a business, even though the idea of health games is not new anymore. But there is much potential for growth, and Finland is in a leading position. The problem right now is the lack of actual finished and good products. Health care researchers brought up the various challenges in creating health games: are they supposed to be actual medical devices with all the extensive and time-consuming testing and research that is needed for certification? Validation and testing processes in health care are very slow. As an answer to this there is a research project in Turku University where commercial games are being tested on people with brain injuries. Could already existing and engaging games help in rehabilitating these people? As part of this project, player preferences are also being researched. If health games are to be effective at all, we also need to understand what kind of games different kinds of people like to play. A good finishing point for the seminar was the statement that creating good and effective health games, requires focusing on: 1. Entertainment, 2. Mechanics, 3. Player preferences, 4. Business model. In the evening IGDA took over and hosted an after party for everyone. The gathering was held in the newly opened Sparkup facilities, where Boost Turku, Creve and Turku Science Park are giving the local start up scene a cool new home. There were presentations by NordicEdu, Morrow games, Ikoniac, Boost, Turku Game Lab and Quadro Delta. Tatu Laine’s post mortem of NordicEdu’s math game Tile Tales was very insightful. Tile Tale is math, puzzle game with beautiful graphics and music that was aimed at a core audience of casual, social gamers and puzzle lovers. Developing it took two years, and it was first launched as F2P on the Windows phone. And this autumn it was launched on Appstore as a premium game, and it was featured in several countries, still it did not make it to become a big hit, even though reviews were largely positive. Tatu’s message to us all was that they had to eat a lot of humble pie, but “it’s a good pie”. The other talks were a bit shorter, but no less sweeter. Liisa from Morrow games presented their horror game Crowmire. Jaakko from the new game company Ikoniac presented their work on a sci fi, puzzle game with deep storytelling for mobile (and they are hiring!). Konsta from Boost told us some more about the coming Startup Journey 2016. Natasha from Turku Game Lab gave us some exciting news about new developments for next year (Turku Game Lab is entering the entertainment industry). And finally Vitali from Quadro Delta blew our minds with a new, almost finished game trailer. After the presentations the evening continued with drinks, snacks, networking and some gaming on Sparkup’s huge TV screen. IGDA Finland Turku Hub wishes you a Merry X-mas and Happy New Year. Hope Santa brings you something nice! By tradition, IGDA Finland Hubs gather once a year to plan out the next season in Joensuu's Illusion game industry event. The usual challenges the IGDA Finland volunteers thrive to utilize is the continuing rise of the industry and the individuals with it. Staying true to IGDA Finland's mission to promote and develop the recognition of the game developer community, volunteers around Finland do their best to make it happen. There are now over 40 IGDA Finland gatherings yearly in the whole country. IGDA Finland hub coordinators are a big bunch already. With 8 hubs volunteering around Finland, the reach is very good. We're looking forward to the next season and the exciting events it will entail! IGDA Finland Turku Hub was again happy to have Epic Games as a guest in our gathering. This time we tried another a slightly bigger venue Ravintola Mauno which turned out great. The gathering was the official party for this years Turku Game Day. Sjoerd De Jong gave a live gamedev demo of Unreal Engine 4 and also showed off his own project Solus by Teotl Studios. We were very impressed what kind of freedom the tools in UE4 give to designers. Solus has basically been pieced together by Sjoerd almost on his own so quite an achievement. We also had the pleasure of hosting guests from Fingersoft in our gathering so the night was great in many ways. 120 people attended the gathering this time so that sets a new record for IGDA Finland Turku Hub gatherings! We’ll be back in May! Beatcon, a new gaming and music convention, is happening in Jyväskylä 29th - 31st January 2015. Reina: I’m here with Patty Toledo, organiser of Beatcon, great to have you here! Can you tell us more about yourself? Patty: I am a Brazilian living in Finland. I have worked with music for twenty-two years, with ups and downs. I have my own game company in Jyväskylä called FanART games,which made MegaFan. I have a Masters in Digital Culture specialised in games. I was invited by Oulu Game Lab to be their new Lab Master, so I am teaching game design there. Reina: It got me really interested that Beatcon is a music AND game conference, combining two of my favourite things. But I saw there have been changes to the music programme. Can you tell us about that? Patty: We were offered a lot of support at first, but not all of those promises were fulfilled, so I had to reduce the music side. But the conference is going really well! We have Microsoft, Google and a lot of companies. We have people coming from Israel, Germany, Holland, and England. It’s going to be an awesome conference! We are going to have cool parties afterwards and everyone is going to have fun, learn a lot, and network a lot. Reina: For the bands that aren’t coming, are you thinking of inviting them back next year? Patty: The good thing is, I have a really good relationship with them. The bands were not upset with me, completely the opposite, they understand what’s going on, and already said they wanna come back. My plan is not to do it myself anymore, but just contact another company that does festivals, such as Q-stock in Oulu, so I can focus on the conference, and they can do the music side. I think the biggest mistake I made this year is organising everything by myself. I was not able to get a good team working behind me. I got some help, but not enough help, not early enough. You’re going to see the event: Even though it’s a lot smaller (than planned), it’s pretty big for one person to do! Reina: Tell me about the game events that will be happening. What are the sponsors bringing, and what kind of talks will there be? Patty: We are going to have two days of full conference. We’re gonna have a lot of companies at the booths, like Microsoft, Google, Broski & Co.(startup investor) from England, and FGL (indie game distribution platform) from the United states. PlayRaven is our largest sponsor. We have quite a lot of good companies coming. We are going to have a pitch competition, where the companies are offering services as prizes. So for startups, it’s a really good opportunity, because they can get a lot of free services. All the information is on the website, but I’m trying to remember by heart... Google is giving away about ten thousand dollars of cloud space for free. Microsoft is also giving away $67,000 worth of cloud service, but not only that, they are also giving away the software for free for three years plus the technical support. They are giving away “Bizspark Plus” packages, which is usually something they don’t give away for free. We have Fondia giving free attorney time, so you can have legal advice for free, documents for free, contracts for free. Broski & co. from England is giving free consultation times, so they are going to help you do your business internationally. Nokia is giving away devices… There is a lot of “stuff giving”. And for all the companies that are coming, I was very certain on the presentations that they are not only presenting their products, they are giving their experience. They are talking about things that other companies should know, and these students that want to work with games should know. All the mistakes they made, everything that they did right, what are the best partners to have, how to deal with publishers, how to deal with difficulties, how to get the best funding, and things like that. Fiban is giving a really good presentation on how to do funding. Also, at the pitch competition they are giving free access to the advisors of Fiban. So it’s a very cool event, though not as super big as I imagined, but it will be a very cool event. Reina: Okay. So tell me about the pitching competition. So if I am a game developer, or a wannabe game developer, and I have a great idea… what’s the process? What should I prepare, and how do I sign up for this? Patty: The signup is on the site already, it’s a simple form where you just indicate you want to go. It’s a three-minute pitch, kind of an elevator pitch. As simple as possible. We are going to have the first presentation, and then people will go into a separate smaller room, so you don’t have to do your pitch in front of three hundred people. It’s more private, because I want the companies to feel comfortable doing that. The judges are going to be from Fiban and from the investors in England, from Google, and Microsoft. They are going to look at the importance of the project, how profitable it can be, how innovation is being applied, and then we are going to announce the winner on the 31st. We have some smaller prizes for second and third place as well, but of course, everyone wants to win, so I want them to work as hard as possible to be the winners. People can still apply for that, they can even apply when they come: They only have to be prepared with their pitch. It’s going to be a open mic, so it’s going to be really nice. Reina: Are formalised teams needed for this competition? Reina: About music and gaming, what do you think is important about bringing music to gaming and gaming to music? Patty: I think this is a battleground. It’s a very complicated thing, especially because the licensing and copyright laws in music business are very old-fashioned. But there are some people fighting very hard to make it better. For example, one of the things I can see that are being made better… Do you know Ari Pulkkinen (composer of Angry Birds theme)? He is one of the guys I’m working with to create the Game Music Association, the GAMU, and the whole idea with that, is to make it easier for game companies and record companies and music publishers to have this communication and better understand how to do things: how it can be profitable for both sides without being nerve-racking or complicated. Of course, there are other companies, like Teosto, they are also making it easier for game companies to get music. They have a new contract that makes it a lot easier for the game companies to acquire music without having to pay every time (a song is used). It’s going really slowly, but little by little, it’s getting better. I think the larger and more profitable the game industry becomes, the more digital music suffers, and because that’s what’s happening, the more it forces a change in music companies and publishers to be more open-minded and try to accept these changes. It will take time, but it is going in this direction anyway. Reina: So this brings us to your game Mega Fan. So you see it is a way for musicians to reach out to their fans more directly? Patty: Yes, that’s the whole concept. Initially I chose not to use music, for the obvious reasons that you can already notice: The more musicians we have, the more complicated it would be to license music from all of them. But I see that there are a lot of fans, very loyal fans, that would do anything to get closer to their musicians... and they have absolutely no opportunity to do so. And there are a lot of musicians who would like to be in the game business, who would like to be connected to their fans, but don’t have a way to go around the record companies, so then my company just decided to say: “Okay, let’s take this risk and do that”. We already knew when we released it, it wasn’t going to be like “Oh my god, we’ll be millionaires in the first year”, but we were really happy. We did the soft-launch at the end of November, almost the beginning of December, and as you know, December is a terrible month for anything… I mean nobody does anything. But still we had about a thousand downloads without any promotion. Reina: Where is it soft-launched? Patty: It’s on Android. It’s in Google Play. We did it just to test, to fix the bugs, to see if everything is okay, and already we got a thousand downloads, and everyone loving it. We had only two negative feedback, everyone else is positive about it. So when the game is ready, and everyone promotes it at the same time, I think it’s going to be a good result. Because we also have pretty big bands who are interested in this. Reina: Will there be some music-themed gaming talks at the conference? Patty: We are going to have some. For example, SongHi is going to be talking about music education through games. We have NetSono that has this platform for musicians to communicate: it’s kind of like this gamified platform online. We have visitors from Warner and Universal coming to the conference. They didn’t ask to talk. What they want to do is just talk to the people, and talk to the game developers and the musicians, even the smaller ones. It doesn’t matter that we don’t have the big bands anymore, but we just put them all there to talk together. I think it will bring down a lot of the fears that both sides have. Of course, Ari (Pulkkinen) is going to be talking about making music for games, and Joonas Turner will be talking about sounds in games. We are trying to make the talks as broad as possible, but of course, we have some music-themed talks as well. Reina: I saw that Unity will be presented too. What kind of talks will they be having? Patty: They will have a longer, forty-five minute talk about Unity 5, and we agreed on having a long Q&A afterwards. I saw a lot of Unity conferences, it’s a very common thing, but usually they are really short. There is so much to show, that in the end there is very little time to ask about any details. I really wanted to give the chance for developers to ask them questions. Reina: And there is going to be some kind of gaming lounge, where people can relax and play? Patty: Yup. Microsoft is bringing Xboxs for the lounge. All the game companies are bringing their games, and people can go around and try everything. I’m reserving quite a lot of time, because I want people to be able to go and check out everything, and show what they are doing, and test what others are doing. At most conferences, you hardly have enough time to see game-by-game what is being done. I really want people to see what the indie companies are doing, and what the bigger companies are doing and just have a good time by testing the games. Reina: Is there still space for exhibitors? Patty: We have some. We don’t have many anymore, but we have some space. It’s still possible, especially for indies, for smaller booths, it’s still doable. If people buy the business pass for the conference, they get the space for free. I don’t want them to overpay. We still have some space for students and other developers. Reina: Is there food and drinks onsite? Patty: The coffee breaks are offered by the organisation, so it’s free. The site has a restaurant and it’s open until 3pm. Reina: I saw there were free legal advice sessions that people can have with Fondia and Lexia. How does that work? Patty: With Fondia and Lexia, both companies are offering legal advice. Companies that are interested in getting advice can fill in the form online or send an email to me, and they can get 1-on-1 legal advice. And it’s for free! So that’s always nice. Lawyers are very expensive! Reina: Is it only for companies, or can students ask questions if they have already been developing a game, and are considering releasing it? Patty: It’s for everybody, everybody can ask. If they think they need a lawyer, it’s no problem. Reina: Any kind of legal questions, like copyright law, etc? Patty: Anything! Of course they are specialised in game business. But it’s open for everybody to ask. Reina: Thanks Patty for your time! Beatcon is happening in Jyväskylä 29th - 31st January 2015. September came quickly around the corner and it was once again time to gather around to talk about games and game development with BoostTurku, the local entrepreneurship society! 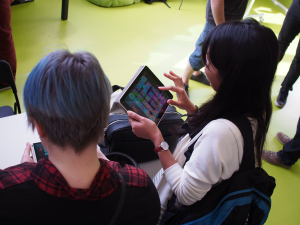 This time, we had a showcase where people could come and and present their awesome indie game projects & companies. BoostTurku with it’s accelerator program Startup Journey has been a great source of very promising game companies and they are really central in the development of the game scene in Turku! Here’s what’s hot in the Turku area! NordicEdu, an educational and serious games company is about to release Tile Tail, a unique casual number puzzle game very soon. The game has an awesome look & feel and here’s hoping it will find it’s puzzle-loving audience! Walk Mode is a recently founded indie games company formed by 2 experienced game developers Juuso Mattila and Matti Faler. Their game “Papa Void’s Power Skateboarding” is not a platformer game - it’s a jumping game! Such a genre defying concept comes alive in this sweet looking screenshot and believe it, the game looks a lot better in action! We did this kind of Turku Indie Gathering a year ago and it has been incredible to see the immense progress happening in the local scene. Rock on and be back for another gathering in October! Game developers and alike were quick to come back from their holidays and away from the scorching heat outside to meet with Epic Games in the Fall's first IGDA Finland Turku Hub Gathering. Andy Hess, Technology Evangelist from Epic Games (with an impressive background from Apple, Ageia and NVIDIA) was over at Turku's gathering showing off many of the amazing features UE4 has to offer. It was incredibly interesting to hear about what made Epic Games radically change course with their subscription model which of course in the end is all for the good of us, game developers. Andy's presentation was met with great interest and with a bombardment of clever questions. We wouldn't be suprised to see a few new UE4 games being developed in the area. Almost 100 visitors came to enjoy the gathering atmosphere and of course - the drinks. Prepare to look forward to the upcoming gatherings! 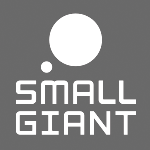 Next gathering will feature some of the coolest indie game projects in Turku! When Illusion was over, the rest of the games industry folks drifted to Ilosaarirock right next to the event venue. Our hub volunteers, however, continued their gathering to share ideas about the future, tackle common matters in hub volunteering as well as celebrate the success of the active volunteering all over Finland. With all the new ideas and energy we are ready for another great year of hub activity! IGDA Finland East Hub sharing the love. The final IGDA Finland Gathering for the spring period of 2014 was hosted by Rovio and a bunch of their Angry Birds Star Wars plushies. Loads of you showed up and Adams was packed by the end of the evening. We also had a special guest from the IGDA Japan chapter attend the Gathering this time! During the evening the guests had the opportunity to see a presentation from Rovio's Executive Vice President Jami Laes who talked about Rovio's operations and future plans. Jami also revealed that Rovio would have some new releases and news in the next few weeks and in the coming summer months so keep a lookout for information on their website. Thank you to all of you who came to Club Adams to say hi and wish happy summer holidays to your friends and colleagues. Thank you also to everyone who attended the spring Gatherings in 2014. You, sirs and madams are awesome! Now it is time for IGDA Finland to go on vacation and prepare for the autumn season of IGDA Gatherings. Welcome to the next IGDA Finland Gathering in September! The Tekes Skene Roadshow visited Jyväskylä just one day before our monthly meeting. It ended up being a very personal visit, with Kari Korhonen talking about how the Skene program works and answering questions from game developers from Jyväskylä. We were happy to arrange our May Gathering with our good friends, Jyväskylä Entrepreneurship society. The Gathering was at the Jyväskylä Train Depot, a great space all kinds of cultural events at Jyväskylä. We had two great guests, with Kati Heljakka and Samuli Syvähuoko, who also visited us this time last year. Kati Heljakka is a toy and games researcher, with a PhD from the university of Turku. She is also a creative director at the Finnish board game company, Tactic. Tactic was a very exciting example of a Finnish games company, since it does something most of us are not that familiar: board games. It also manages to be international and still make the games in Pori, Finland, when most board game companies have outsourced the production into Asia. Very inspirational to hear someone with both the theoretical training and practical experience about making physical games. Samuli Syvähuoko is veteran of the Finnish game studies, having been involved with starting such game companies as Remedy. He’s been touring Finland, talking about the Game Brewery, a project for “refining the Finnish games industry.” On top of that, they managed to make actual beer for the games industry! He also argued at length that Finland is the best place to be making games. The numbers he showed us of Finnish games industry’s growth seemed pretty convincing. The evening came to a great end at the Bar Paja, with the games industry’s own beer. This was also the last gathering this spring, with the next one waiting us in September. Thank you JES, Kati and Samuli and see you all in September! Wow, the year 2014 started out in a hurry! We've already had 4 gatherings in the IGDA Finland Turku Hub! 2014 Started out with a stroke of bad luck with our gathering venue as we lost our dear old Ravintola Bryssel to Sedu in January! 1½ years worth of gatherings flew past in that venue so fast. We were left with some dear memories of the great atmosphere and the lively discussions from the venue sauna... So we found a new venue and the January Gathering was held in The Castle, which attracted almost 100 visitors since it was arranged with the Microsoft LevelUp -tour. Iraklis Grous from LudiCreations was over at the gathering the show off the Kickstarted board game Gear & Piston. It was mighty interesting to hear how they arranged a successful kickstarter campaign on a game that was actually developed in Finland. Come April and because of the need for more space, we arranged the gathering this time in our old (where it all began in 2011) venue Panimoravintola Koulu since we had a big guest for the evening, Wargaming.net! We had the biggest hall for us and free drinks for the evening and Alexander Shilyaev, the Director of Global Operations at Wargaming.net gave an insightful presentation about the growth of the company and other fun details along the journey. Suffice to say, it was a great evening for game developers and alike. This month Expa put local game companies on the stage to show their talent, projects and games. We got four great guests making games in Jyväskylä. First on the stage was Patty Toledo from FanART Games. Their game Mega FAN! is a combination of music and games, giving fans new way to interact with their favorite bands and giving bands a chance to connect with their fans. They already have an impressive roster of bands and first game features on the way. Next, we heard from Juuso Hietalahti, the designer of The Infected: 28 Cards Later. The Infected is a card game in the vein of Werewolf or Mafia, with survivors trying to survive in a world of zombies with a traitor in their midst. He was also in the middle of converting The Infected to a digital card game. We also had the pleasure of seeing what the brand new Zaibatsu Interactive had made in just a few short weeks. They recently moved to new offices and have worked furiously making a new prototype that was for now called simply Game#1. Game#1 was a co-operative game of moving small slime-balls around on a tablet device. Our last invited guest was Olli Rundgren from Pisamala, working on bringing games to education. They were just a couple of short months away from publishing their game. Olli has experience from being software developer and shared stories and experiences of what is it like to run a business. We also got to try out a soon-to-be-published Windows Phone game Goldfish in the Sewer, from our good friend Tuomas from Add Inspiration. Next month we’ll join the Tekes Skene Roadshow. See you there! On the 1st of April 2014 the Game Spring Oulu game development seminar was held for the third time at the campus of the Oulu University of Applied Sciences. This time the seminar was divided into two tracks, dev and biz, which attracted roughly 200 visitors from near and far. The main theme of this year was the future of gaming, especially in indie games. The speakers included people like Jay Ranki (Next Games), Fredrik Wester (Paradox Interactive), Andrew Walker (GameFounders) and many others. After the official seminar programme it was time for the After Party, which was held at the Business Kitchen premises and was sponsored by Playraven and Fingersoft. The evening was all about mingling, networking and just having fun with fellow developers. The place was literally packed to the max with developers! As a surprise program number a game related quiz was arranged. The battle was fierce, but luckily only egos were harmed during the competition. Hamsterscape developers enjoying the evening. A big thanks for all the participants, partners and sponsors of both the Game Spring seminar and the After Party. See you again next year! 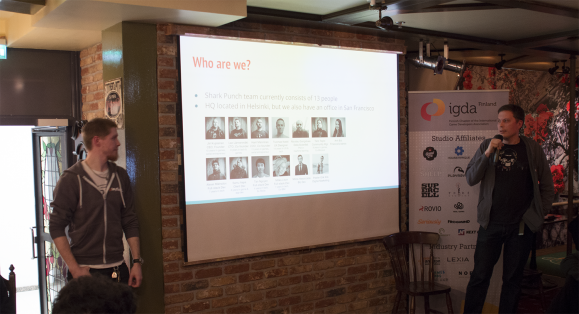 Once again game developers and game industry enthusiasts in the Tampere region gathered in Jack the Rooster on the 25th of March for another IGDA Finland Tampere Hub gathering. The event was also the after party for a Tekes event held earlier that day. We were also glad to get Next Games, which had just raised $6 million in its initial investment round with two games in development, to sponsor the event. Next Games provided attendees with drinking tickets and the opportunity to learn more about the company and its projects, including a game about the popular TV series The Walking Dead. The event was a success yet again with around 80-100 attendees. 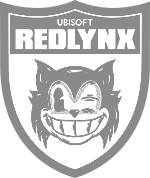 It was kicked off by a presentation by Jay Ranki, the Head of Studio at Next Games. After a short introduction to the company, people once again went into networking mode. Last Tuesday was an eventful day, with the ending of Expa Game Lab, Expa Gathering and Expa Game Club on the same day. Expa Game Lab was a half year project with participants making game prototypes from ideas they had. In the beginning there was 13 game ideas, but they were ranked in two votes down to four. In the end, there were four teams making games. None of the games were finished in the limited time frame, but that wasn't a surprise to anyone. The games presented were: Buggers, COMA,CyberAfrica and Seth. Probably the most positive outcome of the Expa Game Lab was the birth of a new game company, Zaibatsu Interactive, soon developing more games in Jyväskylä. You can find them on Twitter. Expa Game Club was a more focused project, with a group of first­timers making a small game in three weeks (plus polish) under the guidance of an experienced producers, our own Klaus Kääriäinen. Klaus' direction helped them limit the scope of the game to a product that can be finished in the time given. Their game, Back from Afar looks pretty impressive. Our guest at the Expa Gathering was Jussi Autio from Oulu Game Lab and Viima Games. Oulu Game Lab is what sparked the inspiration for our own Expa Game Lab so we were eager to hear things were going in Oulu. Oulu Game Lab seemed to be a pretty autonomous part of Oulu University of Applied Sciences, with a multidisciplinary game education program teaching everything needed to make games, from programming to art. They've already managed to create seven new start­ups, with one more to come. They've helped make 16 game demos, got investors and millions of downloads for the games made there. Pretty impressive! Expa doesn't have the institutional backing, but we'll our best to catch up next round, when we start a new Expa Game Lab later this year. We'll put everything we learned from the previous Game Lab and from Jussi to use and make the next one even better. Stay tuned for next month, when we put the local talents on stage. Do you have game company or a team making games in Jyväskylä? If we haven't already contacted you, drop us a message and come show your projects at next months Expa Gathering. Expa’s second gathering this year was held on its usual spot and time, on a Tuesday at Shaker. We had two great guests, researchers from the Gamecloud-project from Lappeenranta University of Technology and Lasse Seppänen from PlayRaven. Before the gathering we had a workshop with Gamecloud, connecting game projects to the cloud service developed in the project. Janne Parkkila, Kati Järvi and Timo Hynninen helped us figure out Gamecloud and get the service running. It is now in closed beta, but the API is open and on Github. At the gathering, we heard a bit more on where their research is now and how we can use it for making games. Our other guest was Lasse Seppänen, CEO of PlayRaven, which just received $2.3M in seed investment. Lasse told us about his history at Remedy, for example about making Alan Wake. He also told us more about PlayRaven, and the game they are currently making, Spymaster. A game about managing spies in mid-war Europe? Can’t wait for it to be out. Everyone was eager to hear tips from a games industry veteran, so we almost didn’t let him off the stage after the questions started pouring in. Thank you everyone for a fun gathering and we hope our guests visit us again soon! Jyväskylä Expa, now also an IGDA Finland Hub! Expa's December Gathering had both a great guest and lots of cause for celebration. Formally, Expa is registered in 2013, but actually, it was already alive and well in 2012. This means that Expa is now one year old! But there is more: Expa is now officially an IGDA Finland hub, representing game developers from Jyväskylä around Finland and the world. As a guest, we had Joachim Achrén, formerly the lead analyst at Supercell and now running his own company, Next Games. Joachim gave us great tips on what kinds of numbers to crunch in games. We also heard about the game projects that are part of Expa Game Lab. Four games in total are on their way to completion in 2014, and we heard what Buggers, Seth, COMA and CyberAfrica had been doing. In January, Expa kicked the year off with Unity and Microsoft, when the LevelUp-tour came to Jyväskylä. First, developers spent the day doing games for Windows 8 and Windows Phone. It was a great chance to hear tips and tricks for Unity, and then have a chance at publishing a game on the Windows platforms. Later in the evening, we played Tekken Tag Tournament 2. There was a tournament of 12 players, with Sami Sorvo taking the lead with an unbroken chain of wins. Congratulations!